(CCSS/ELA. RTS.11-12.2) Determine the central ideas or conclusions of a text; summarize complex concepts, processes, or information presented in a text by paraphrasing them in simpler but still accurate terms. Select 1-page problems appropriate for students exploration of the math involved with the science theme. 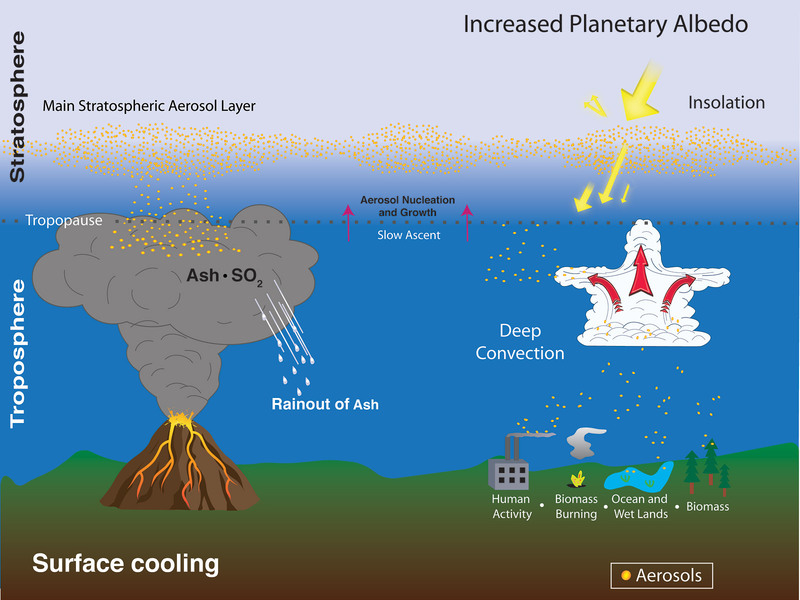 A study published July 21 in Science and led by Susan Solomon, of the National Oceanographic and Atmospheric Administration (NOAA), presents new evidence that particles located in the upper layer of the atmosphere -- also called the stratosphere -- have played a significant role in cooling the climate in the past decade, despite being at persistently low levels. Stratospheric aerosols, which are small droplets consisting of sulfuric acid and water, have been reflecting some sunlight back into space, which would have otherwise warmed the Earth. "Stratospheric aerosols are a small variable in the climate change equation," said Larry Thomason, a scientist at NASA's Langley Research Center, "But if you compare the climate system to a balanced scale, it doesn't take much to tip that scale. 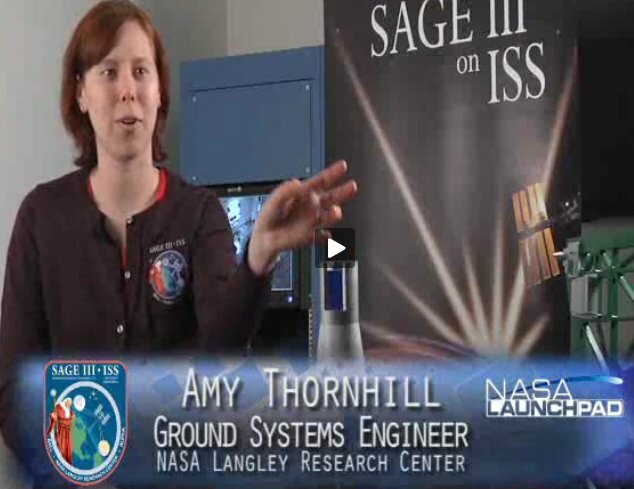 Stratospheric aerosols have that potential." NASA's Stratospheric Aerosol and Gas Experiment (SAGE II) monitored them from 1984 to 2005, and the joint NASA/CNES Cloud-Aerosol Lidar and Infrared Pathfinder Satellite Observations (CALIPSO) has been able to estimate the amount of particles in the stratosphere since its launch in 2006. The NASA data was also combined with data from Global Ozone Monitoring by Occultation of Stars (GOMOS), a European Space Agency instrument. Guide your students to create their own problems using the information found in the press release or video program. Use this as a check of their understanding. Deepen your student's understanding of how data can be analyzed by using interactive spreadsheets. 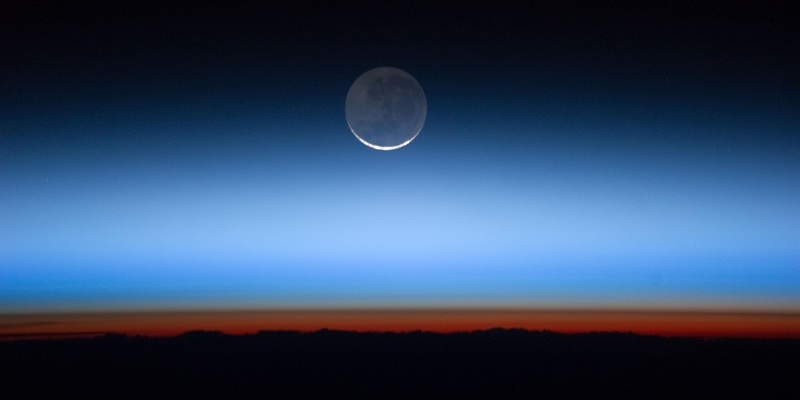 Evaluate students' understanding of how math, science and technology work together to increase our understanding of the role of aerosols and ozone in the stratosphere and how these affect climate change, through formative or summative assessments.